It's time for more hairy wrist pictures! 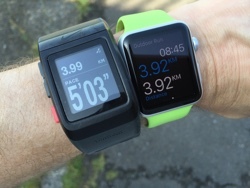 A quick comparison of the Apple Watch to my Nike+ SportWatch GPS for running. 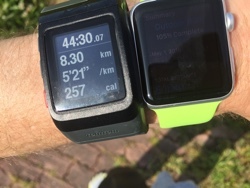 Unable to customise watch display to show only stats I want. 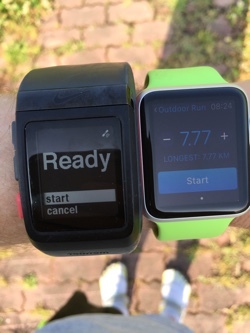 Undecided if I will use the Apple watch for running. I may just keep using the Nike+ watch for the time being.